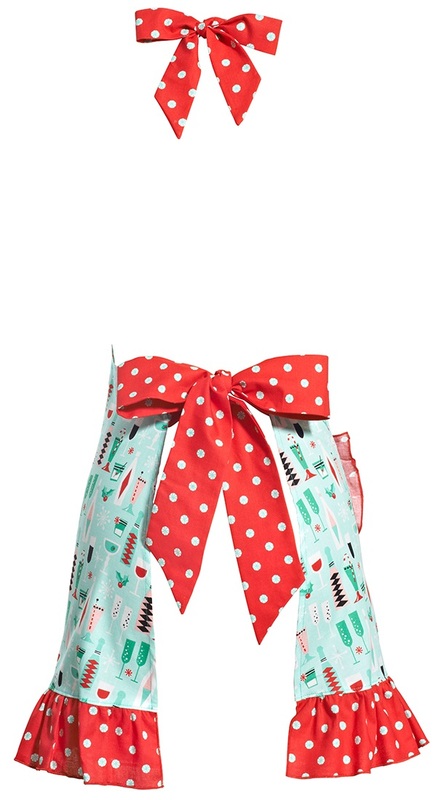 An attractive retro-inspired apron that features colors of holidays will surely brighten your kitchen and put you in the middle of warm and festive family gatherings during the holiday season! 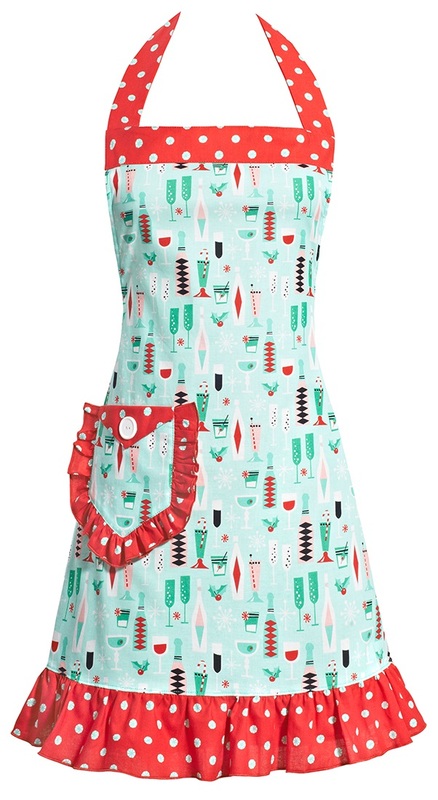 Entertain in high style in our durable aprons which feature a perfect-fit pocket to store your cell phone. Spells functionality and fashion sense and looks like a great party mood starter. for mothers, sisters, daughters, and brides.